Normally I'm a little bit slack with my skincare products. But I had been thinking about buying a serum for a while, my skin gets quite blotchy and red and dry in patches and I thought a serum could help. 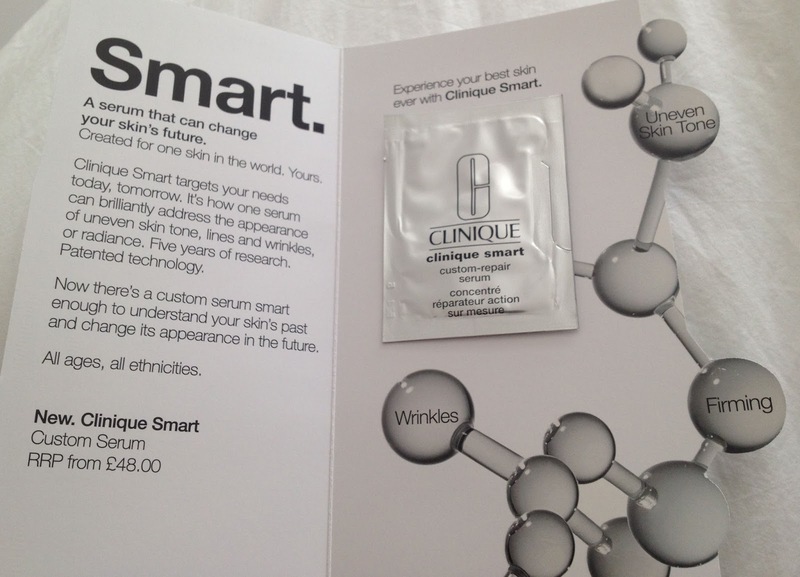 Then I saw that Clinique had launched a brand new product they were hailing as their best serum yet - The Clinique Smart Custom Serum. It was created after 5 years of research with patented technology and apparently can solve ALL of your skincare issues in one go. I picked up a sample sachet in store in the summer and thought I'd try it out. Of course the sample only had enough product for 2 or 3 uses, which is no way to properly test out skincare. However, it felt quite rich and moisturising and a little went a long way. A few weeks later I decided to buy my mum a bottle for her birthday present and accidentally ended up with some for myself too (oops). The packaging is really sleek - a tall silver pump action bottle, a departure from Clinique's usual green bottles. The pump dispenses the right amount of serum so that you don't waste any - which given the price of this stuff, is very important! I think what appealed to me was the claim that the serum is for all ages and all ethnicities. The sales assistant explained it by saying that the serum can sense the individual needs of your skin and is activated to repair and improve it. Now I can't vouch for the science on that but I was swayed. Being a serum-novice I liked the idea that this one would solve all of my issues and I wouldn't have spent my money only tackling wrinkles OR pores OR skin tone. The sales assistant advised me to use 1-2 pumps in the morning and evening before my moisturiser - unless I used Clinique's Dramatically Different Moisturiser and in which case to use the serum after that. She said this was because if your skin was moisturised first then the serum can focus it's attention on your other skincare needs and doesn't have to work so hard sorting out moisture levels as well (I don't know why that isn't the case with other moisturisers though). I have been using the Clinique Smart Custom Serum twice a day for a month now and I have to say I really like it! My skin feels much more moisturised and in better condition and I also think my skin tone is more even. Some days now I just wear a CC cream instead of foundation and I don't feel as 'bare' as I would've done a month ago. Whether it is the extra attention I am giving my skin and the addition of moisturiser at bedtime, or whether it is the serum I can't say for sure. But for me it seems to work. I was almost hoping I wouldn't like it as it will be an expensive habit to get into! 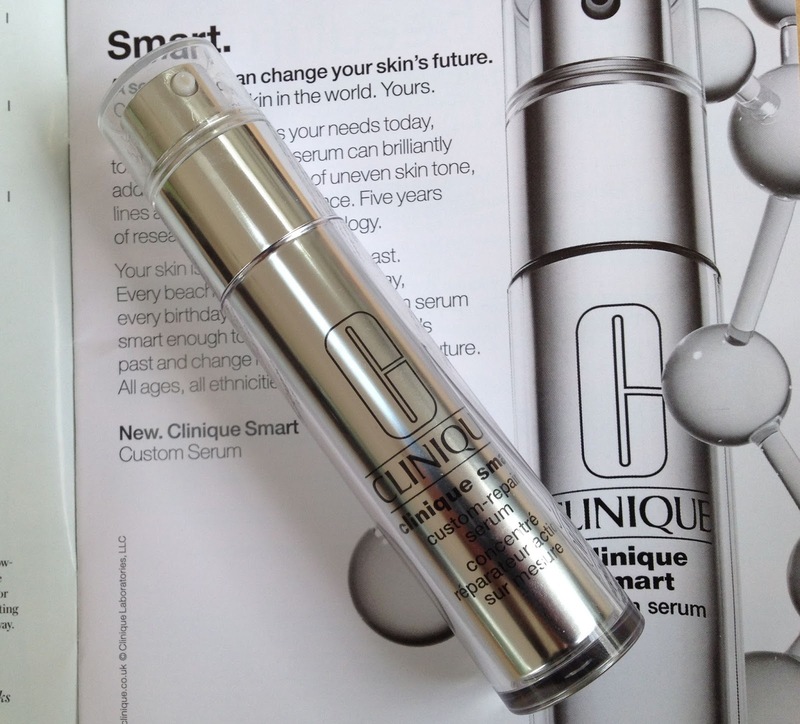 The Clinique Smart Custom Serum is £48 for 30ml here or £68 for 50ml here. 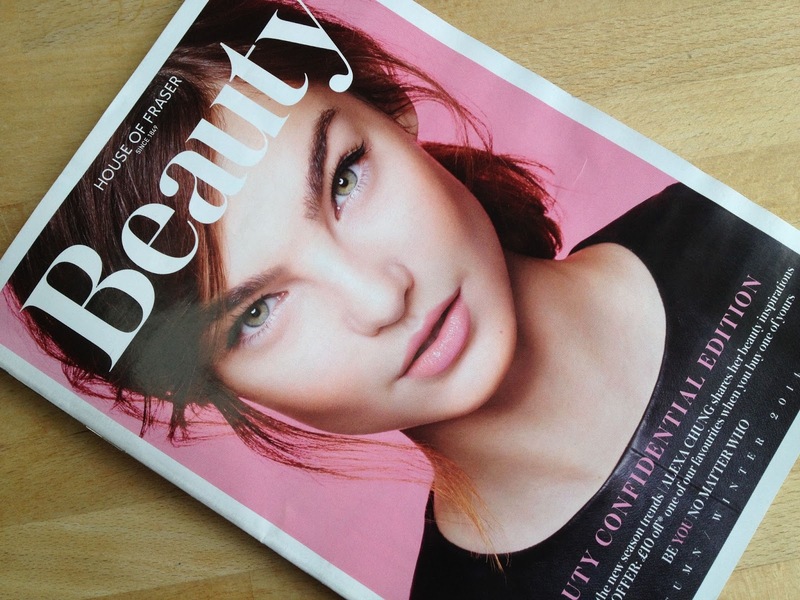 However if you're tempted it is worth knowing that House of Fraser are running one of their Beauty Confidential Events from 8th - 23rd September. It covers loads of beauty products and if you buy one of your favourite products you get £10 off of one of the products in the promotion. The really good news is that the Clinique Smart Custom Serum is one of the products on their list! (you can check out the full list of products in the promotion here). 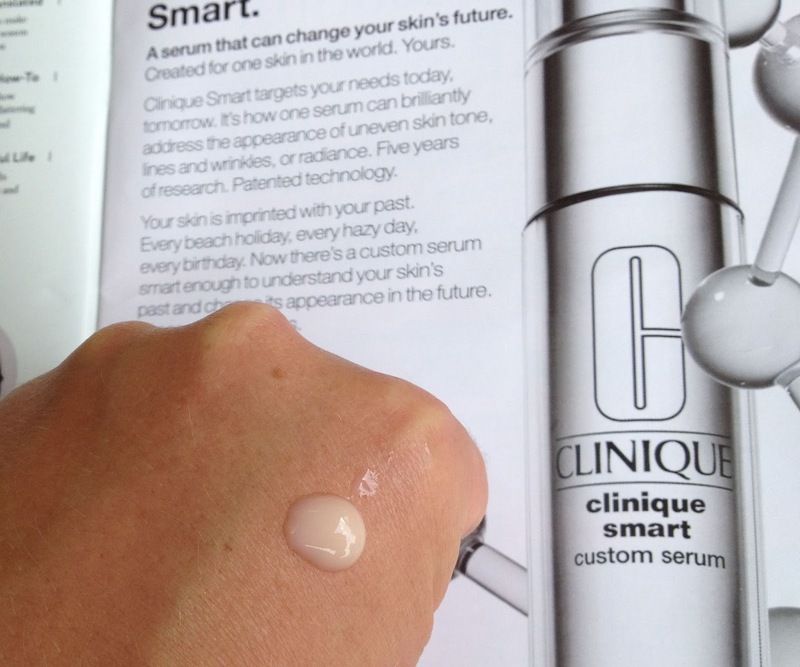 Have you tried the Clinique Smart Custom Serum? Or do you have any good serum recommendations?